Sidney de Koning (1981) is a full time geek. When he was 8 he got hooked on BASIC on his grandfather's Amiga 500. Now he still gets excited developing mobile applications and websites. His passion is to play with technologies like Adobe's AIR or the Android Platform and loves to translate complex abstract ideas into concrete usable applications. He started programming in Turbo Pascal and Delphi, tried PHP but later found his true love - Flash. Now, Sidney is a Flash Platform developer with over 10 years of experience in ActionScript (1, 2 and 3), AIR and lately also Android. And a little iOS. After setting up the online department at the Dutch MTV in 2005, he freelanced and worked for smaller companies until 2009. He has worked for and with a multitude of companies including MTV, TMF, Nickelodeon, Media Catalyst and Code d'Azur. His current employment is at LBi Lost Boys in Amsterdam. Where he develops in AS3, solves technical problems and leads teams as Technical Lead. He is specialized in streamlining development processes, AIR and AIR for Android. In his spare time he used to write content for the Dutch Adobe User Group and teach programming classes at the international SAE College. From writing articles on blogs to writing magazines and a book. And from teaching students programming to coding and talking about code. It all has to do with transferring knowledge and inspiring people who share the same passion. Creation. He likes to keep sane by meditating, reading, writing and running. 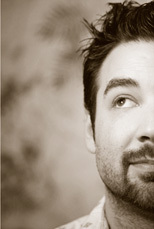 He also maintains a weblog about AIR, mobile- and Flash development over at http://www.funky-monkey.nl/.